When FasTracKids CEO Nancy Faunce excitedly informed the corporate office that we were partnering with a sailor in the Vendée Globe, I had to perform a Google search on what the “Vendée Globe” was. A few months later, Nancy selected me to attend the start of the most challenging around the world sailing adventure. Within weeks, I found myself at the Les Sables-d’Olonne, France participating in race preparations. It was absolutely amazing! 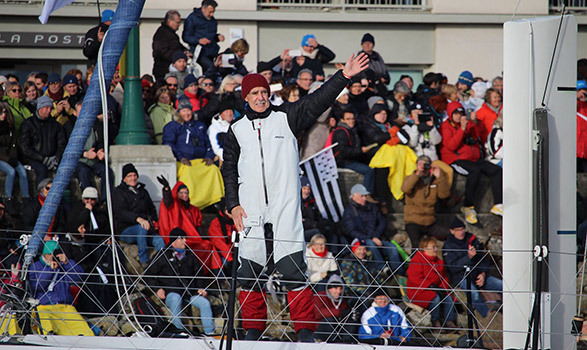 Witnessing the Vendée Globe Village was exactly the guidance I needed. I still don’t know a lot about yachting, but being a part of this race has taught me two things that are life changing: Passion and Legacy. There were over 30,000 people at Les Sables-d’Olonne (that number would swell to 45,000 as the start of the race grew closer). I met young children barely beginning to walk and former sailors in their 80’s. The older generation wanted to share everything with the younger generation. They had a passion and commitment to pass on this sailing tradition to eager young learners. I was able to spend some time walking along the pontoons where all 29 yachts were moored. People would intelligently speak about the construction of the yachts and explain to those of us who were less knowledgeable why one boat was better, faster and stronger than another. Of course there were disagreements, but there was comradery in discussing their passion. As I watched fathers bestow the wisdom of the seas to their sons and daughters, I realized that although there are 29 heroes who will set sail for an adventure of a lifetime; there were thousands of families upholding a legacy for all generations. 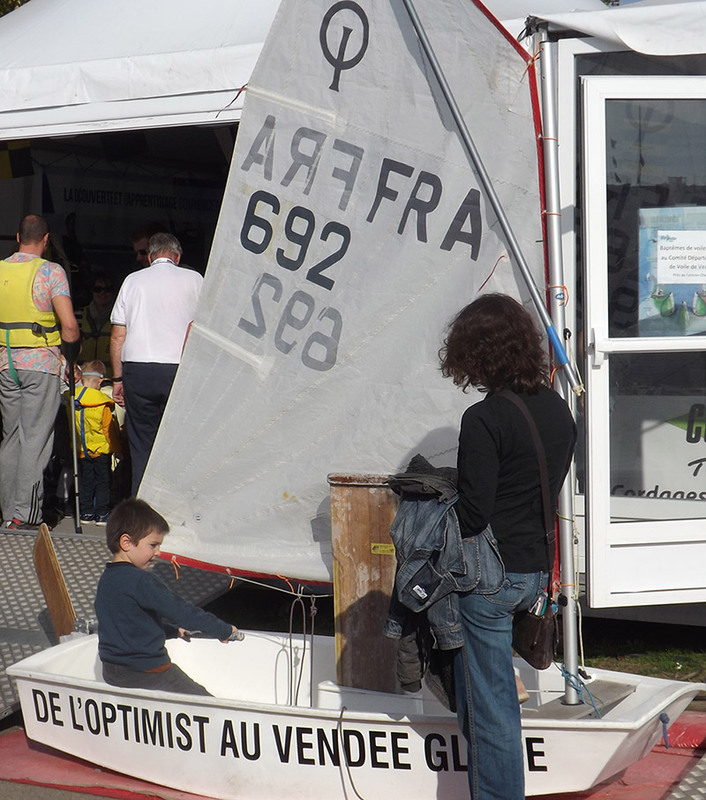 The dream of many parents attending the Vendée Globe was that one day their offspring will take up this challenge to conquer the sea. I understand now more than ever why Nancy created this partnership with the Great American IV skipper Rich Wilson as he circumnavigates the globe. Rich’s passion to help educate kids while showing them how they can do anything is a honorable cause. At FasTracKids, we believe students are being prepared for great adventures through learning. Giving students a firsthand experience by participating in the “Live Adventure” program allows them to dream the dreams of the heroic. It inspires each child to accept challenges that are brand new or a passion that has been passed down for generations. Join us as we cheer on Rich and the other 28 skippers. We will be following their journey for the next three months and giving our children the legacy and challenge of the sea.